October 28, 2015 ckeating Book Clubs, Book News, eBook News, General, Perspective Comments Off on Write back to Vt.
Back to the mountains I went this past week and relaxation was all that was on the schedule for each day, every day. I also had an opportunity to put a fair amount of time into penning my next book, which is coming along very well, thank you for asking. Since last report I have also added a few writing projects to my ‘To Do List’. It may be a little early to go into detail on them, but I can assure you that they will be entertaining reads when all is said and done. 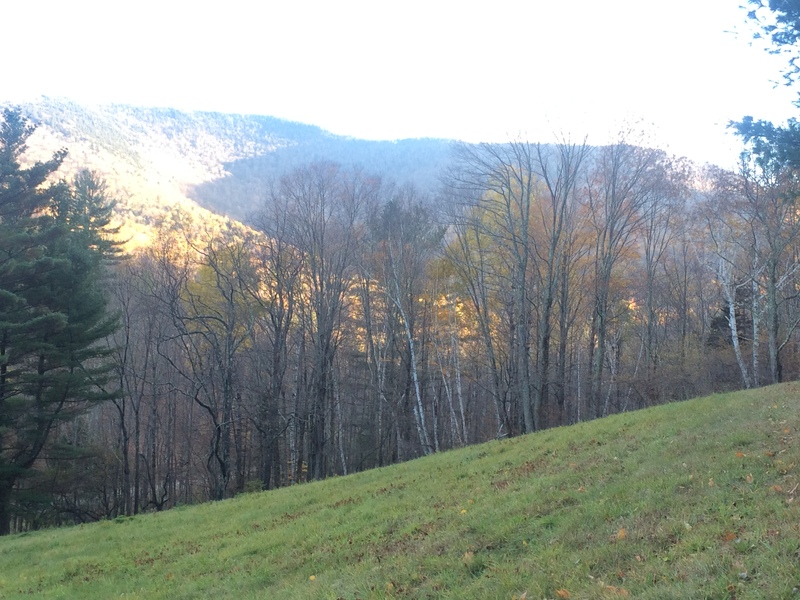 Each time I return from my hide away in Vermont I have discovered a little more about life and what is important. Invariably the simplicity of it speaks to me and the knowledge of less equals more becomes more obvious and brings a renewed sense of peace. Quieting down inside is something I always enjoy doing. 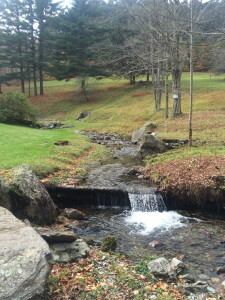 It provides that much needed balance to offset some of the hectic pace that I deal with an any given day here at home. My life maintains a comfortable balance along the spectrum between a busy career as an ED nurse and a recluse in a mountain hideaway. 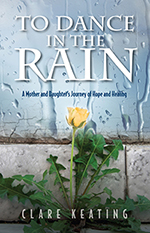 To Dance in the Rain, A Mother and Daughter’s Journey of Hope and Healing has been selling steadily in the past few months, mostly through the ebook venue. I am working on selling and signing events at a couple of holiday bazaars this year and will keep you updated. Books will be offered at 40% off (bookseller/wholesale rate) starting November 1st on the website, to book clubs and at holiday events. Alicia and I also enjoy speaking to any size group. Alicia is doing quite well, moving ahead with her goal of walking again; she is working out and becoming more determined (or impatient) each day. She has also been applying to a steady stream of jobs lately in the social services field…fingers crossed! … Unless of course your goal is to keep people updated with the goings on after a book publication. Well, you know how we artsy types are. Let’s see, a little scattered? a tad flighty? somewhat distracted? … no, let’s just call it focused, why don’t we. This thing we call life can certainly keep you busy,right?!? Have to say though, that most of what is going on is good and positive…exciting projects, positive strides and enjoyment of life fill our days. Living the dream, she said non-sarcastically. In regard to the book, To Dance in the Rain – A Mother and Daughter’s Journey of Hope and Healing, sales are moving along steadily on a post publication year plateau. The book continues to be available in 6 bookstores, 5 in CT and one in VT. I could definitely get a little more on the stick with continuing to promote the book, I admit, but once again refer you back to line two of paragraph one. Alicia was the focus of a GoFundMe effort some months back. With the monies raised we have purchased a porch full of equipment designed for strength building and more specifically balance training exercise. There is enough remaining in the fund for us to use for a PT evaluation and further recommendations. Alicia is at this point working out 3-4 times a week. She remains determined and diligently so, to be more mobile. (and please don’t ask how driving lessons are going) She is working hard and I believe her mood is elevated not only by the physical activity but the dreams that hope brings alive. She has recently stepped the pace up and applied for multiple jobs. She had for a couple of years been hanging low in her search for employment opportunities. Alicia has a degree in rehabilitation services, which puts her in a good place to pursue an entry level social services position. Her being wheelchair bound has diminished some of her job possibilities, though, as more than a few places that she had applied to have not been wheelchair accessible. Please don’t forget To Dance in the Rain – A Mother and Daughter’s Journey of Hope and Healing as you prepare gift lists for Christmas, birthdays etc. Inspiration has no expiration date. Time is certainly and as predicted moving right along. It is not infrequently that we notice it is also doing that just way too fast. 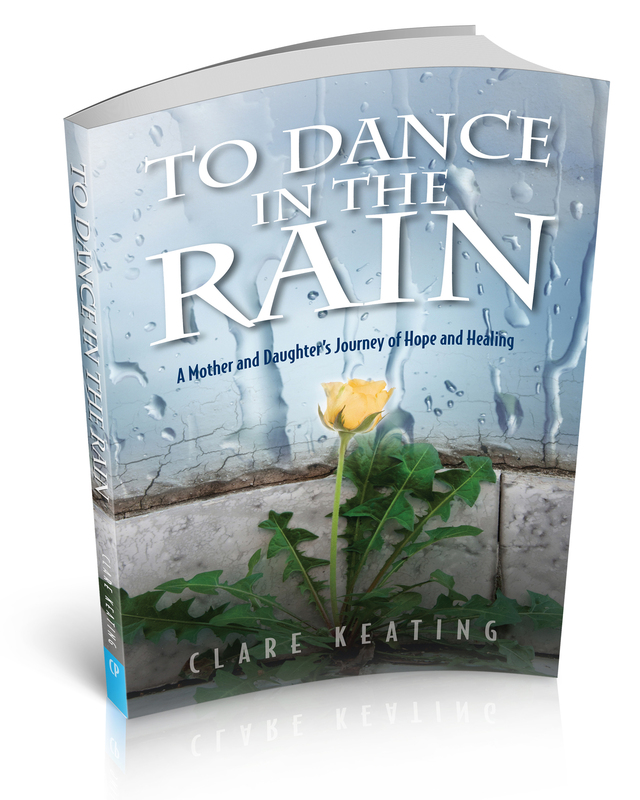 There is a poem/verse in the Special Acknowledgment toward the end of To Dance in the Rain – A Mother and Daughter’s Journey of Hope and Healing. No matter where you are in life and how you experience the passing of time, one thing is for sure… Life is most times anyway, too short. My goal is to just accept that and enjoy every minute of it while the going is good. To Dance in the Rain – A Mother and Daughter’s Journey of Hope and Healing was published just over a year ago. So many exciting moments have happened in direct relation to the book and the writing of it, as well as it’s production and promotion. New friendships forged, countless enjoyable moments, mulling, creating and then conveying the story to individuals and groups. Alicia’s life is changing too, as she continues to progress and look ahead to the future with new hopes and dreams. To Dance in the Rain, the book and in fact the concept, are evolving. The book continues to be purchased, read and loved. I believe it offers elements of understanding and appreciation for life and it’s blessings. It provides yet another example of how even within sadness and adversity, joy, love and hope can be found. Sometimes the realization of that alone can be cause for celebration. As ‘To Dance in the Rain’ establishes itself as a concept that the title was meant to convey, a new phase will take shape within the writings of this website. Looking ahead we switch gears, we refocus and will at times express that in a new way. 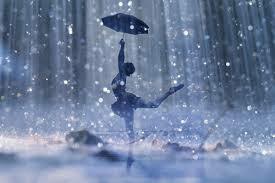 Upcoming blogs will also be touching on how in life we, you, all of us continue to ‘Dance in the Rain’. I will still keep you updated on Alicia and events and circumstances involving the book. I specifically point out this transition as I begin to write my next book. The spark of expression continues to burn and it’s intensity has lately been calling. It has had to patiently smolder at times going ignored for one project after another. Patience which incidentally is not a strong point in my personality, has allowed the welling of creativity to build within me forming a new resolve, a new excitement. …. So onward!! The Silas Bronson Library is sponsoring a ‘Book Signing by Local Authors’ event on Saturday April 25th, and I am thrilled to be part of this first time event in Waterbury. The event will be held on the Silas Bronson Library patio (weather permitting) between 10AM and 3PM.It will be a great opportunity to speak with local authors about their books and latest projects. 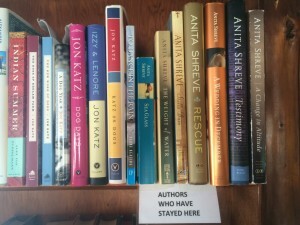 It’s also an innovative initiative by the staff at the Silas Bronson Library, with this being it’s first signing event with multiple authors coming together at the same time. It will be a great venue to purchase a variety of books by local authors and have them signed. I am so happy to be included with this group of local authors and to have a chance to present To Dance in the Rain – A Mother and Daughter’s Journey of Hope and Healing a new group of readers in the Waterbury area. April 6, 2015 ckeating General, Uncategorized Comments Off on HELP NEEDED !! ARCHANGEL AIRBORNE is about to set off on Mission XVII. The operation of each mission depends on private donations, so we could use your help in a variety of ways. 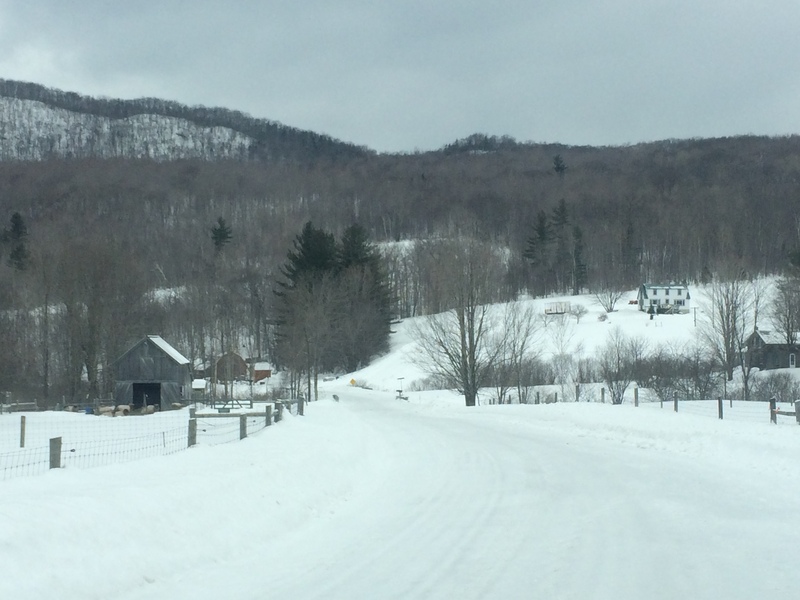 We have reviewed previous clinic activity and have identified conditions most frequently seen at the clinics in the north and south. We have also made a list of the medications that we need to provide for those ailments and illnesses. The following is a list of medications that we need for our upcoming mission. 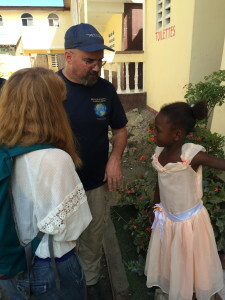 Any meds that we are unable to collect and bring with us will need to be purchased in Haiti. Topical anti-fungals, vitamins for adults and children, vaginal antifungal creams (monistat), saline eye drops, topical cortisone creams, Tylenol for adults and liquid for children, antihistamines (Benadryl) capsules and liquid, anti-diarrheals (Imodium) and antibiotic ointments. Medications and supplies can be left in collection boxes in Stu’s office (St. Mary’s ED) as well as in Yellow Pod back room in St. Mary’s ED. Any monetary donations would also be greatly appreciated and help us defray the costs of our mission operations. Thank you so much. It was just 3 day ago that I returned from my hideaway in the mountains in Vermont. It feels like ages ago, though my heart is still there. I went back to the cabin in the woods nestled into the side of a mountain in West Rupert. 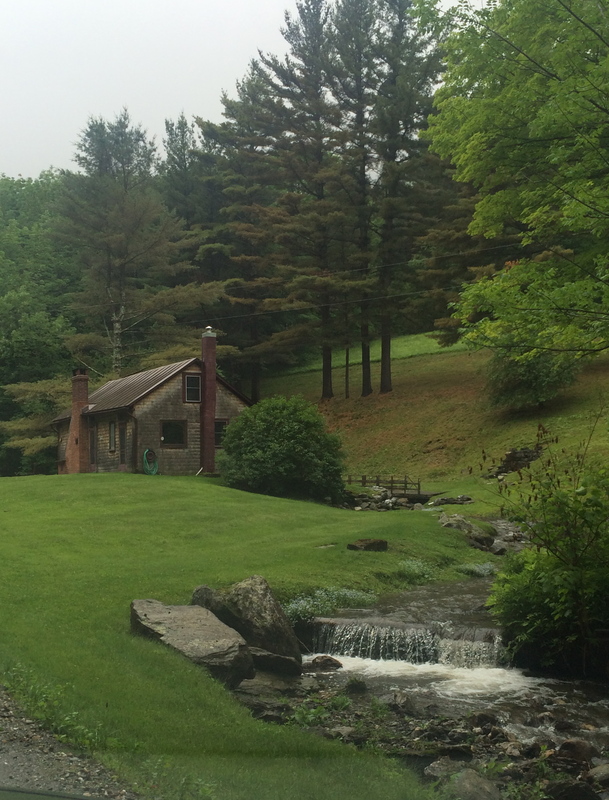 This is where I wrote To Dance in the Rain – A Mother and Daughter’s Journey of Hope and Healing. Love is a strong word, one I reserve only for nouns (person’s, places and things) that sit very close to my heart. I love this place! 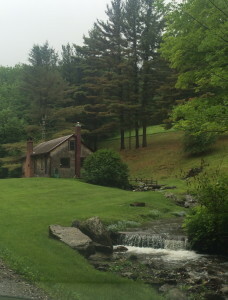 This trip was reserved for a little R&R and to get organized with my next move on the literary world. I made my way there with so many thoughts, feelings and possibilities. More than a few ideas to rummage through, muse upon and make decisions about. 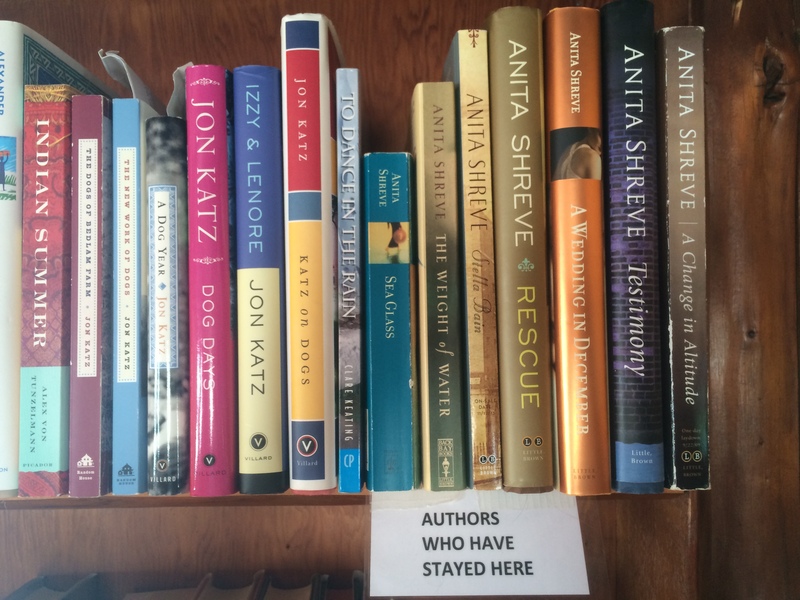 So many stories, so little time! I was able to organize most of what was going on in the mental realm and put together a plan on how to approach my next undertaking. I also reignited the embers of a few other projects. Oh look at this…cool ha?! As any of you who write know, and for those of you who don’t, I have an inside scoop for you. We writing types rummage through the mental debris more than most I’d say, always searching for the words to express an idea in just the right way, so that it can be understood with the same intensity that we feel it. While foraging around up there we meet up with notions that we weren’t actually looking for and never would have anticipated finding. I came face to face with more than I needed to during this past weekend. Lots of emotion hidden behind a stream of thoughts and ideas. There was also a reckoning with a stream of thought whose goal seemed to be to slow me down, to sidetrack and thwart my plans to be productive. I ran a mental marathon, when all I intended to do was peacefully meander around the block. There in my friends, lies the fun of it! So the new phase has begun, back to the pen. It’s the exciting part of it all for me. Now all I need is a little space in this crazy thing called life. Good luck, right?!? !